Electric Vehicles Use Fossil Fuels for Power! It sounds like a great idea – buy an all-electric vehicle like the Nissan Leaf and get off fossil fuels to save money and the environment. However, many people fail to think about where the electricity comes from! 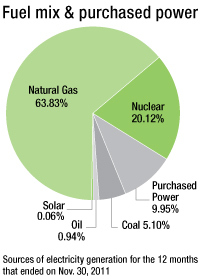 FPL generates about 2/3rds of it’s electricity from Natural Gas. That’s a fossil fuel. In addition, 1/5th comes from nuclear power. So ask yourself – is your electric vehicle really electric, or is it just another fossil fuel vehicle disguised as an eco-friendly alternative? Granted, electric vehicles use less fossil fuel because FPL uses fuels much more efficiently than a typical vehicle’s internal combustion engine could ever dream. However, the fact of the matter is that your electric vehicle is probably still largely dependent on fossil fuels! Is that what you intended? Based on the Nissan Leaf’s EPA ratings, the vehicle will consume 4.1 megawatt-hours (mWh) of electricity per year if driven 12,000 miles. To put that in perspective, the average LCEC and FPL residential customer consumes about 14 mWh of electricity per year. The electric car would increase the average utility customer’s electricity usage by almost 30%. 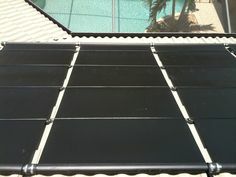 To offset the extra 4.1 mWh of electricity consumed, a solar energy system rated at approximately 3.0 kilowatt (kW) would be required. 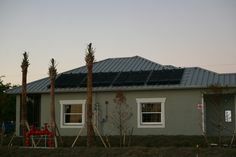 At today’s prices with the Federal Tax Credit, not including any utility incentives, you could get a 3.0 kW solar electric system for around $10,000 under ideal circumstances. 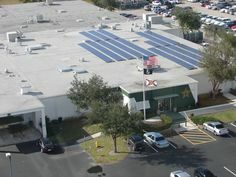 By installing a solar electric system for an electric vehicle you would effectively be getting 25+ years of “free” electricity required to operate your electric vehicle, and would completely offset your fossil fuel use. If I told you that you could prepay for 25+ years of gasoline for your current vehicle for $10,000, would you make that investment? You would be crazy not to!